Come the 2016-2017 school year, the music and arts budget in the Los Angeles Unified School District will reach its highest point in a dozen years. While that’s great news for students, it also illustrates the sad fact that arts and music programs have taken a considerable hit in recent decades, when arts education fell victim to budget cuts. The benefits of music education extend far beyond getting kids to tap their toes. The National Association for Music Education lists the following benefits among the many reasons to support music education in schools. · Music training helps develop language skills. Studies have shown that music training contributes to the physical development of the part of the left side of the brain associated with processing language. A 2005 study from researchers at Stanford University found that mastering a musical instrument may also improve reading skills, which can benefit students both inside and outside the classroom. · Music training can improve hand-eye coordination. 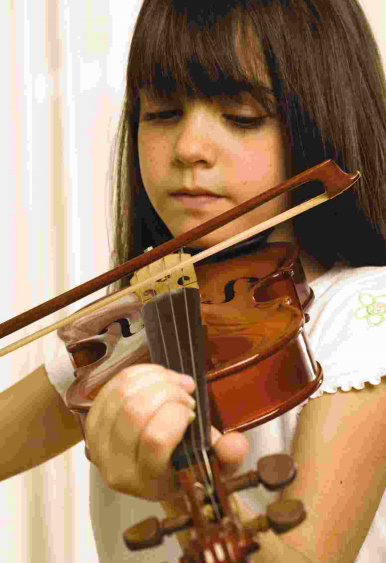 Studies have linked long-term music training to improved hand-eye coordination. That is likely connected to the motor skills children develop when playing musical instruments. Without those instruments, those motor skills may not develop as strongly. · Music improves concentration. Even students who cannot play a musical instrument can still benefit academically from simply listening to music. In 2007, a research team from the Stanford University School of Medicine found that music engages the areas of the brain involved with paying attention. Today’s students deal with numerous distractions, from smartphones to tablets to social media, but those who routinely listen to certain types of music might find it easier to block out those distractions and focus on their work. · Music can help students’ emotional development. A 2003 study commissioned by Chorus America found musicians are more likely than the average person to be involved in charity work as volunteers and donors. The NAfME also notes that music students may be more likely to exhibit empathy toward other cultures. · Music can improve self-esteem. In a study examining 117 fourth grade students attending public school in Montreal, a researcher at the University of Texas at Austin found that children who received piano lessons weekly for three years had higher self-esteem than children who were not given piano lessons during the same period. Neither group had participated in formal music instruction before the study, and students in both groups reported similar levels of self-esteem prior to participating in the study. Music education can enrich the lives of young students in a myriad of ways, potentially contributing to happier, more fulfilling lives.